A father of five children has joined militant outfit Hizbul Mujahideen in Jammu province’s Kishtwar district, Early Times reported on Tuesday. The district police declared Talib Gujjar, 34, son of late Noor Mohammad, of Rashgwari, Padyarana in Nagsini tehsil of Kishtwar as a militant after he remained absconding for last two years, the report said. Talib had disappeared mysteriously in July 2016 prompting his family to lodge a missing report with Kishtwar police on 21 March 2017. 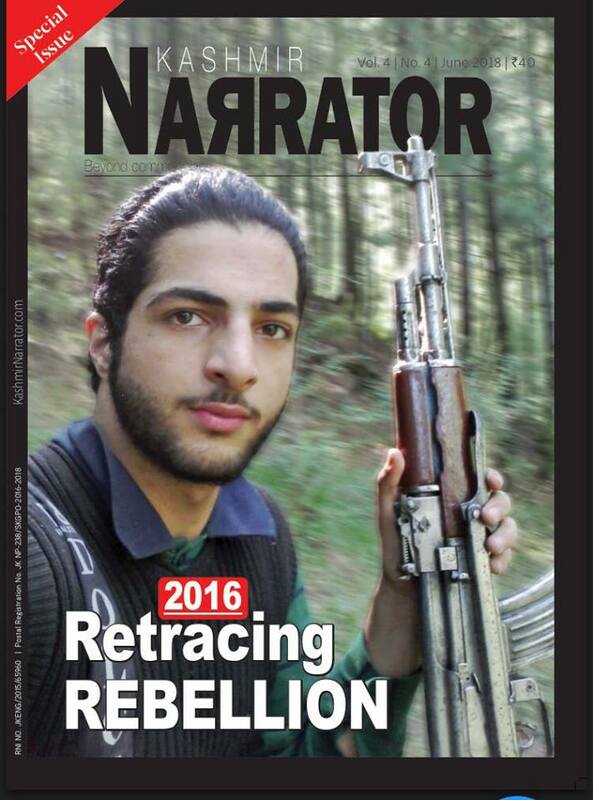 “Police sources told Early Times that after proper verification and accounts of various witnesses, it was found that Talib had joined the Hizb and was seen roaming with weapons in upper reaches of Marwah and Dachhan areas of Kishtwar along with few other militants active in the area,” the report said. His family members also approached senior police officers and sought their help to motivate him to shun militancy and return home, the report added. After declaring Talib an active militant, the agencies have raised an alarm as more youth are missing from various areas of Kishtwar, the report claimed. It’s believed, the newspaper said, that at least two other youths have also joined militancy in the district which was the only district in Jammu province where Hizb outfit still exists. “The agencies are looking for the ‘OGW’ network in the district and are searching the persons who are motivating and luring the youths towards militancy, the practice commonly seen in Kashmir Valley. The sources said that in recent past security forces have launched several search operations after receiving inputs about the movement of suspected militants in different areas of the district,” the newspaper said. Recently, a picture of 32-year-old Assam resident Qamar-ud-Din alias Hamza Hizbi went viral after he joined Hizb in Kishtwar.